FOREX trading can be a profitable market overall; however, FOREX Trading In South Africa has become somewhat of a particular phenomenon. Such status is defined by unique characteristics that only show up in this particular market. From the specific regulations and limitations to the huge success some traders have found, the South African FOREX industry is an interesting development. After reading this piece, you should have a good understanding of the FOREX trading industry in South Africa, its regulators, names, and consequently, what makes it unique. Why Is FOREX Trading So Popular In South Africa? FOREX Regulation In South Africa. Most Popular Forex Brokers For South Africans. Successful FOREX Traders In South Africa. Firstly, we need to be on the same page when it comes to what is FOREX trading. FOREX trading is the act of exchanging currencies from different countries to profit from the differences in value regarding each country’s coin. Currencies are traded by pairs, and what dictates the value of a certain coin is the overall economic status of its country of origin. Whereas the worth of a stock or share in a company is determined by how successful the firm is, a currency’s price will vary depending on the economic freedom and well-being of a nation. Lastly, the FOREX market is accessed through what are known as Foreign Exchange Brokers; they are agencies who offer the necessary platforms and tools to access the market. Alternatively, many brokers are markets themselves, where traders hold positions against the company. Until 2010, South Africans needed to go through way too many limitations when it came to moving money outside of the nation’s borders. Capital control was a big issue, which is standard for countries leaving economic turmoil. However, after 2010, the government gave more breathing room to citizens who wanted to legally move their capital offshore. The South African government started giving people a limit for exchanging foreign currencies. The new laws were a first time in decades, and the FOREX industry was quickly filled with new and excited traders wishing to experience FOREX Trading In South Africa for the first time. Apart from recently allowing for the movement of African currency overseas, the country is also open-minded when it comes to how traders operate. While Africa does have a regulating body for FOREX brokers, there are no laws prohibiting traders from using unlicensed agencies. 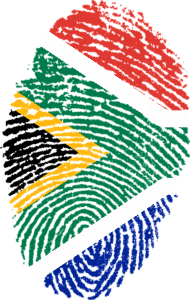 Foreign Exchange Trading In South Africa can be very liberal, but that does not mean that the government does not care for the traders’ well-being. With that being said, let’s take a look into how the market is regulated. The industry is overseen by the Financial Sector Conduct Authority—or FSCA, previously known as the FSB—who takes care of the prevention of financial crime by watching over financial conduct outside of banking. The FSCA does not directly punish those who operate through brokerage companies outside of the ones approved by it, but using FSCA-approved brokers protects the trader from possible scams. One of the main benefits of this service is that they offer an online database where investors can learn about which brokers are registered, who are applying for registry, and who have been removed. Another benefit for registered brokerages is that they are allowed to open offices in the nation and local bank accounts. The body used to be known as the Financial Services Board—created in 1991—and its first task was fighting money laundering, and it kept its name until April 1st of the current year, when it obtained its current name. It is part of the International Organisation of Securities Commissions, or IOSCO. The current responsibility of the FSCA is to keep watch from capital markets to financial services providers (where brokerage firms fit) and retirement funds. The authority is entitled to impose orders regarding compensations and penalties to the entities that violate their statutes. Taxation for trading markets like FOREX, cryptocurrencies, and CFDs can be a confusing topic for many people. It may ring especially true for those interested in FX Trading In South Africa, as the sector is still relatively unknown. The main reason is that many of the accounts are held overseas, and the income from speculation is not verifiable by the South African Revenue Service; most traders rather not withdrawing to South African banks. However, what makes FX Trading In South Africa taxable is not that the money is or is not inside the borders, but the fact that the trader resides in the country. The other side to that coin is that traders are given an annual threshold, and they must only pay income taxes if they exceed the said limit. FOREX traders should hold records of expenses that they incur when trading since these are deductible from taxes; the expenses can include trading courses, equipment, trading software, and technical service. Similarly, asset depreciation is also deductible. Trader must also register provisional tax and make two annual payments to this end. As we mentioned earlier, each citizen is given a limit when it comes to how much they can exchange. Currently, reports place the limit at four million Rand that can be used for exchanging. However, while it may sound like a strong limitation, a conversion to USD would place it around 490,000 USD, which means that most individual traders will not face a sudden stop for their trading. On the other hand, bigger companies can be hindered by this policy, but workarounds are a possibility depending on the capital. People engaged in FOREX Trading In South Africa can also apply for an allowance for discretionary foreign currency. This allowance may add up to an extra million Rand, to be cleared with the SARS in addition to the initial 4 million. The form is an MP 1423, and responsibility with taxation is a big requirement. FOREX Trading In South Africa has its own series of success stories, where millionaires are made young, and it is all thanks to their cunning perception and the possibilities of this industry. Shezi is by far the most famous case of entrepreneurship in South Africa. He was persistent in his belief that trading was more important than traditional education, and this led him to invest all his tuition fees in the FOREX market instead of a university. The decision brought him to be the youngest South African millionaire at his age of 23. Said profits were then invested in making a training company for FX Trading In South Africa, to help new traders be as successful as he is. Shaun Benjamin has the recognition of being one of the few who can say that they first earned a million Rand with 21 years of age. He was accepted for studying engineering after graduating Newcastle High School back in 2012. However, the tides were not in his favour, and he had to drop out due to a lack of finances. The determination not to give up being someone important led him to start trading FOREX, and he ended up quitting his job after raising enough funds to found the Benjamin Forex Academy.